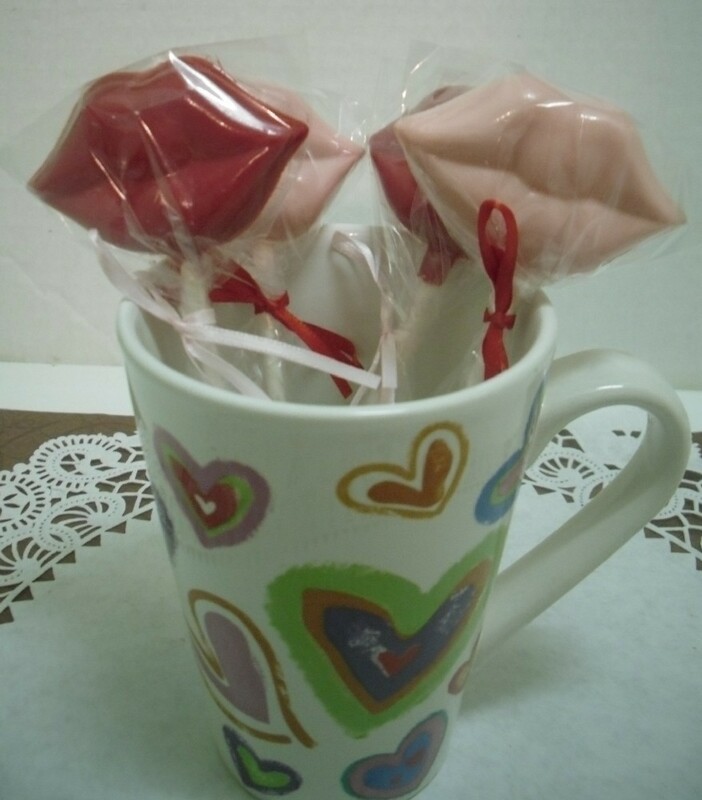 Give a different kind of chocolate kiss this valentines day! 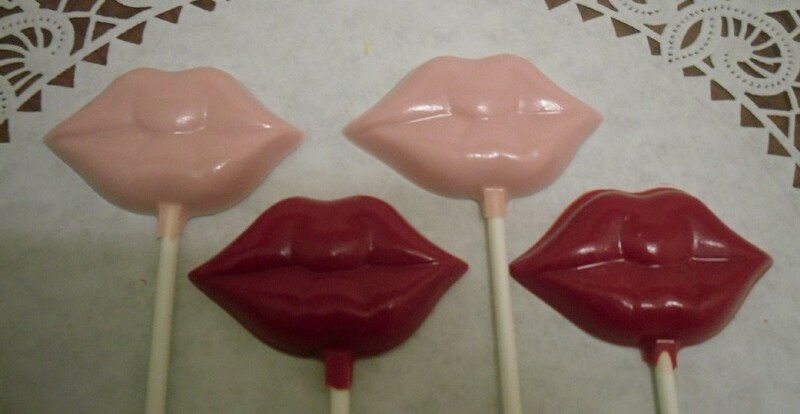 These lips lollipops are available in white, pink, red, milk, or dark chocolate. Please state your preference in buyer's notes or a mix of pink and red will be sent! These pops have long sticks and are approximately 2.5 inches wide and 1.5 inches tall. Each pop is individually wrapped and tied with a ribbon. Please contact me with any questions!